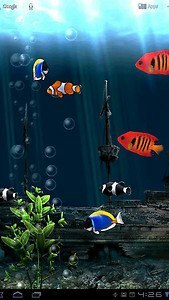 Check out why “Aquarium Live Wallpaper Free” app for Android ™ is one of the most popular apps ever! 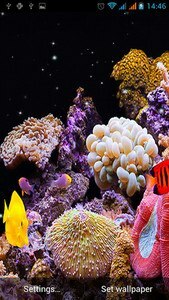 Nothing can beautify your phone more than tropical fish images with bright colors and amazing patterns. This is a wonderful opportunity to be the part of the magnificent water world among the exotic sea creatures. 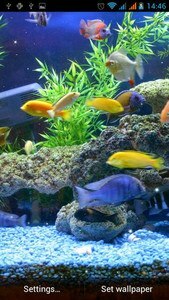 Enjoy the beautiful scenery on your home screen that can make your day beautiful and calm you down if you feel tensed. 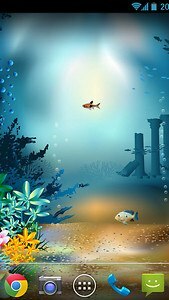 These beautiful background pictures with aquarium theme are something you have to have on your phone. 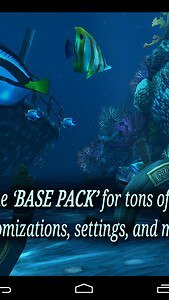 There are ten breathtaking ocean fish wallpapers on your disposal so you can change them whenever you want. 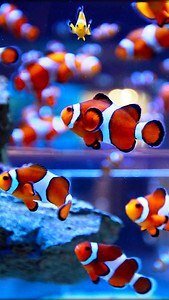 Choose the exotic fish wallpaper HD you like the most and watch how the bubbles of different size start to float on your screen turning it into a real aquarium live wallpaper. ★ Bubbles live wallpaper animation: slow, normal, fast! 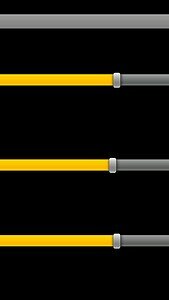 ★ Optimized battery usage, doesn't drain your battery when your phone is inactive. 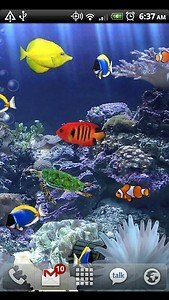 ★ Fish Aquarium Live Wallpapers support horizontal orientation and look amazing on both mobile phones and tablet devices. 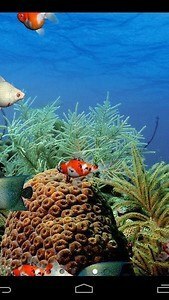 Deep down in the ocean, water is hiding many wonderful things. 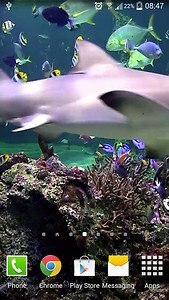 This free app will show you that there are many species of fish and sea animals you would certainly like to see. 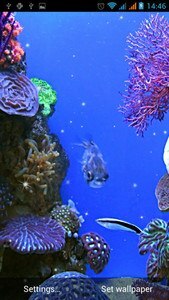 One of the most beautiful is a butterflyfish, with its amazing array of colors and patterns, it is among the most common sites on reefs throughout the world and now it can be a butterfly fish wallpaper on your phone. Just choose which color and pattern you prefer and make it part of your new mobile fish tank. 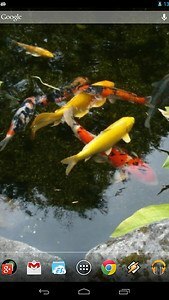 If you like stories about gold fish, just make a wish and very soon you will see a school of gold “fish live wallpaper” on your screen. 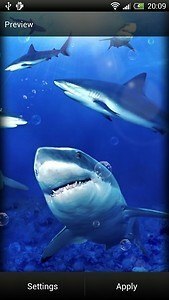 But if you prefer cartoons, there is a HD wallpaper for you which you cannot resist for sure. 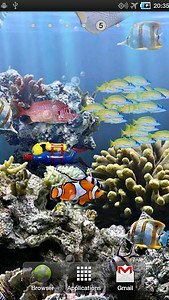 Nemo fish or Clownfish wallpaper will beautify your phone with its radiant orange color. Every time you take a phone in your hands you will be reminded of this amazing cartoon and the adventures of the adorably animated water animals. But this is not all you can find. Thee are amazing examples of sea life, take a moment and enjoy the coral reef images together with exotic fish and sea weed. 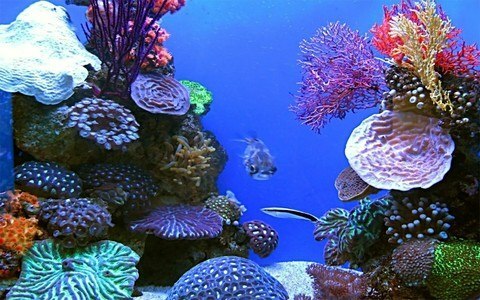 But before you put a sea turtle wallpaper background on your screen you should know that they are one of the Earth's most ancient sea creatures and that they are here for 110 million years, since the time of the dinosaurs. 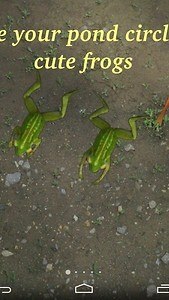 Do you admire them more now? 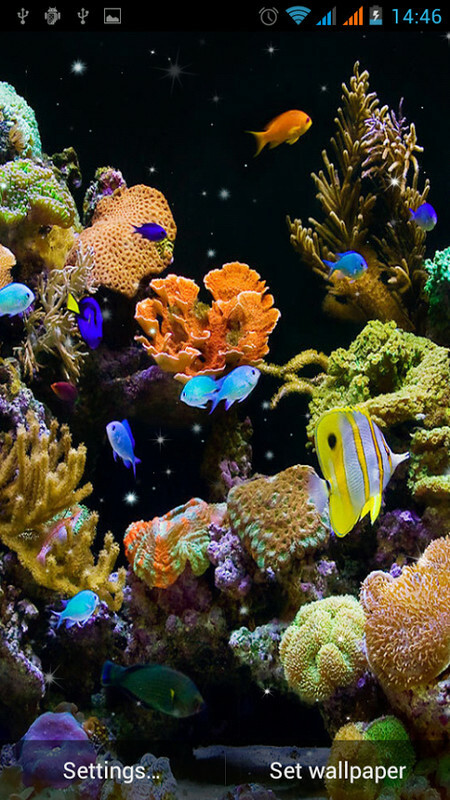 There are more amazing and beautiful things under the sea you should explore. 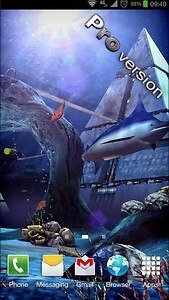 Starfish live wallpaper will show you the beauty of the colors of a seabed and make you come to explore it. 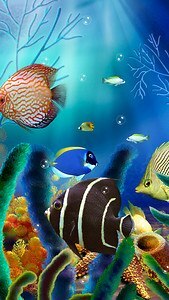 Download “Aquarium live wallpaper” free app for Android™ and beautify your Samsung Galaxy phone or tablet and prepare for the summer season and scuba diving. The new world is waiting for you! 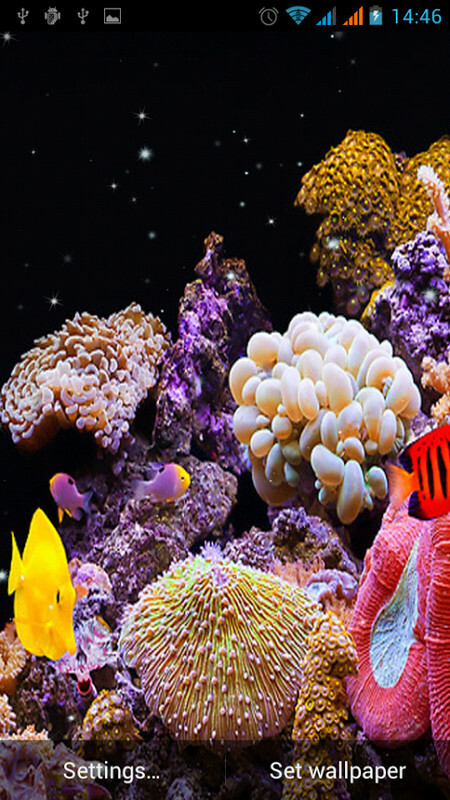 Dare to dive into fun!